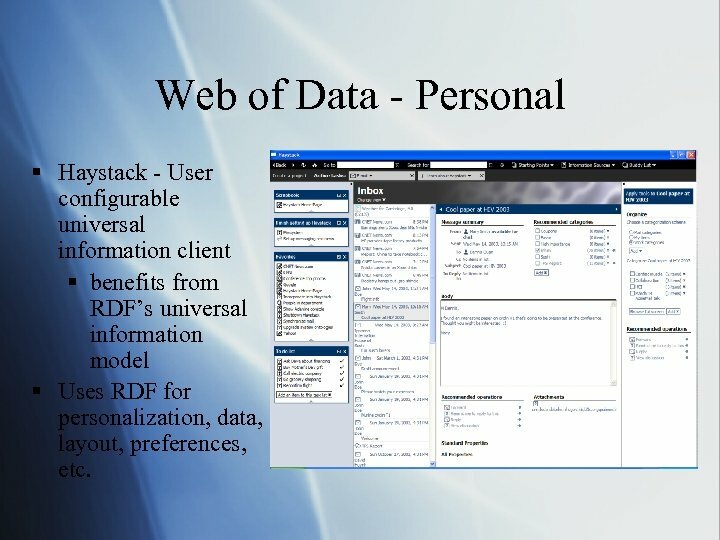 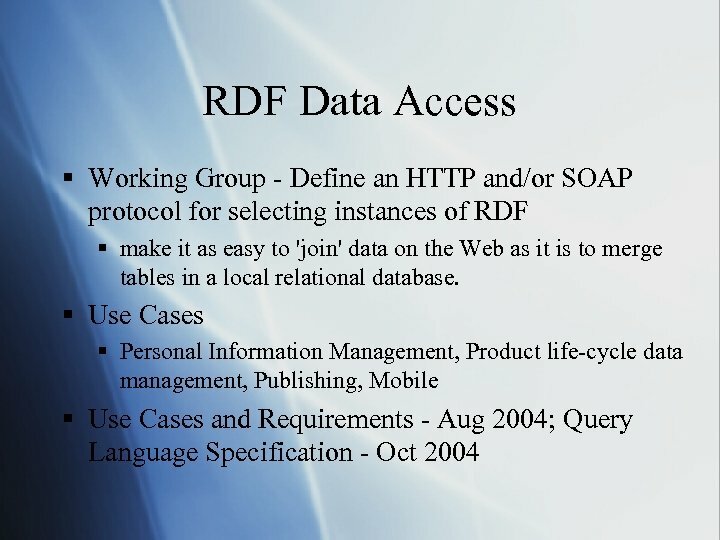 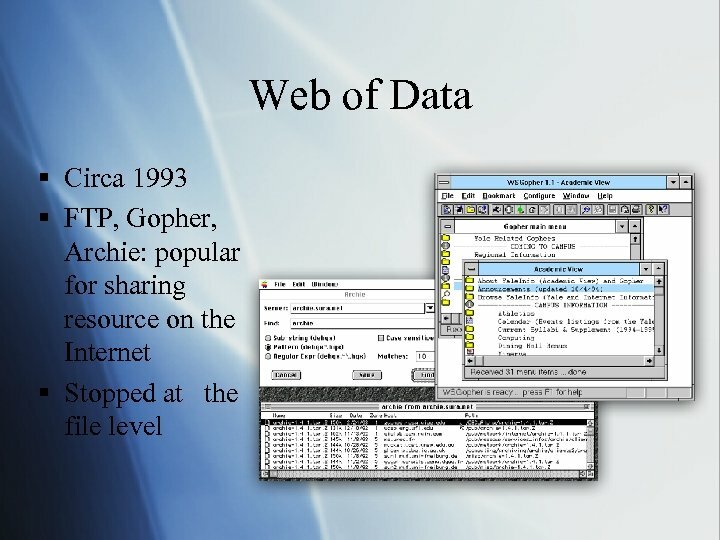 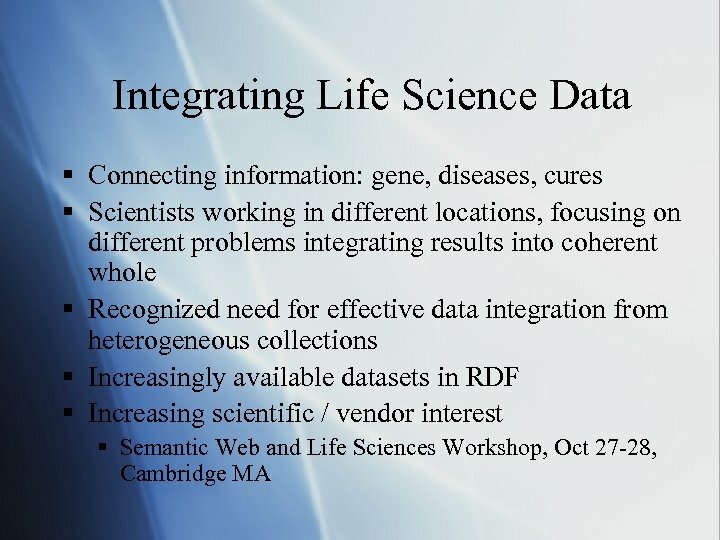 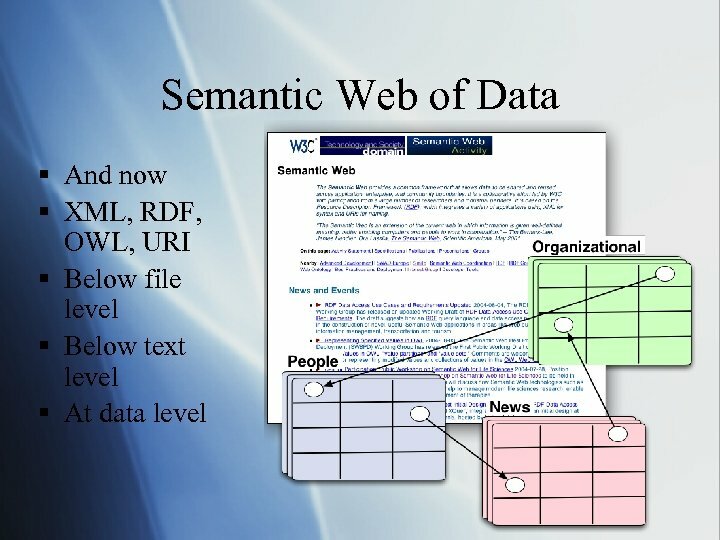 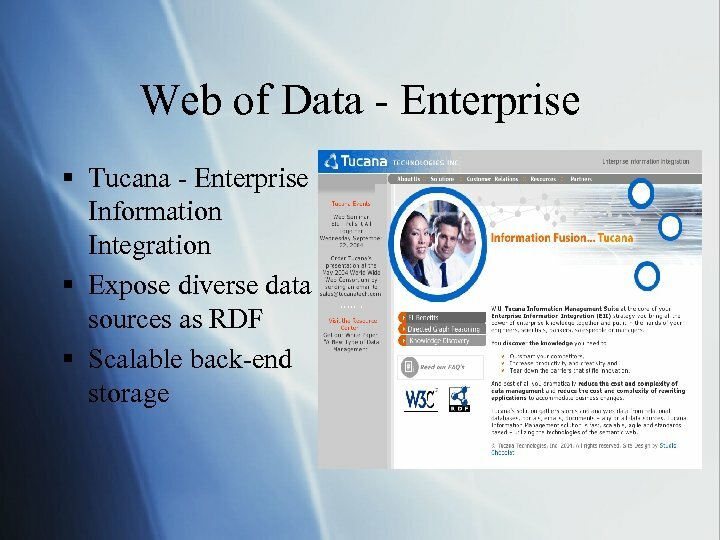 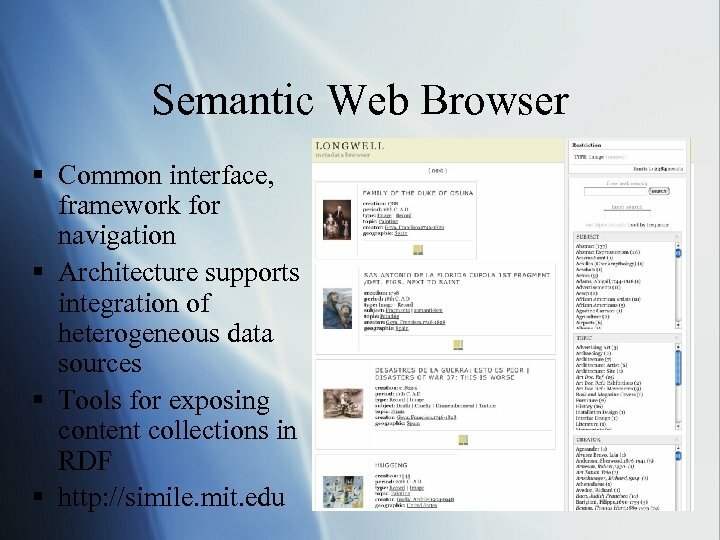 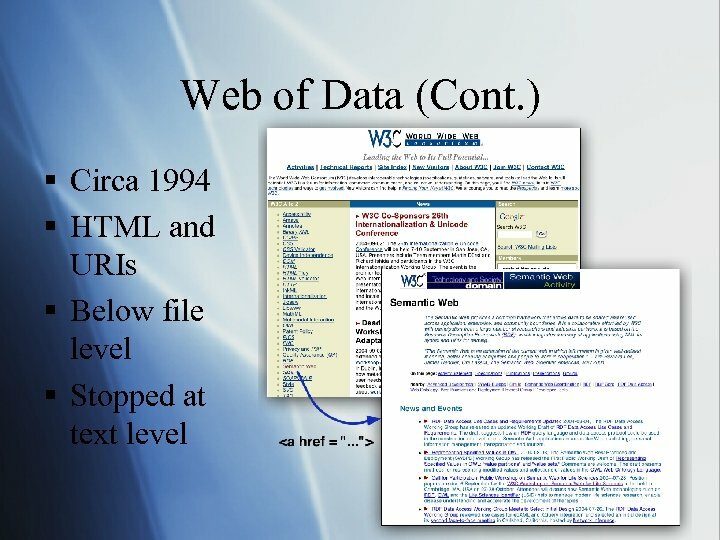 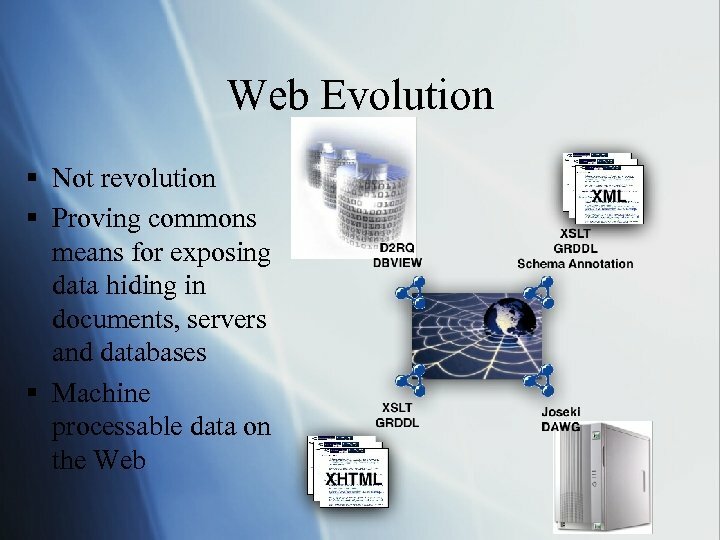 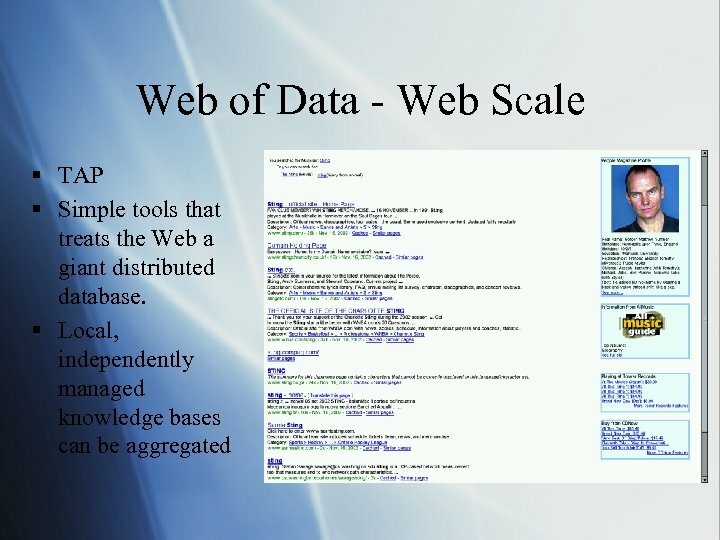 Web of Data - Personal § Haystack - User configurable universal information client § benefits from RDF’s universal information model § Uses RDF for personalization, data, layout, preferences, etc. 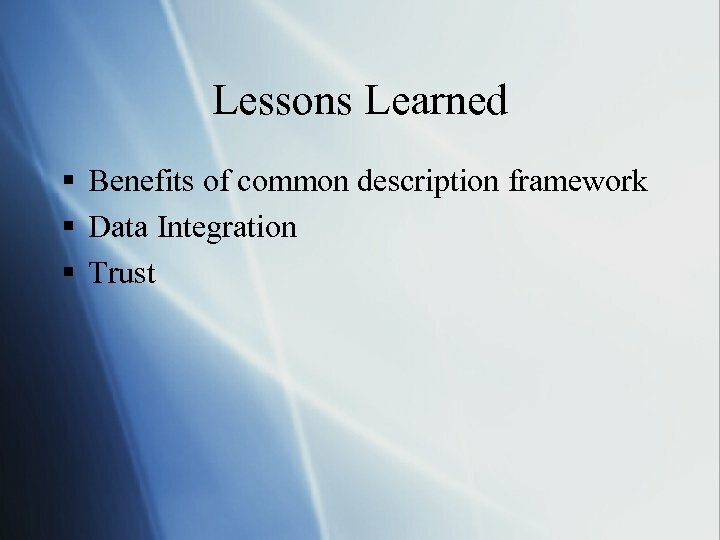 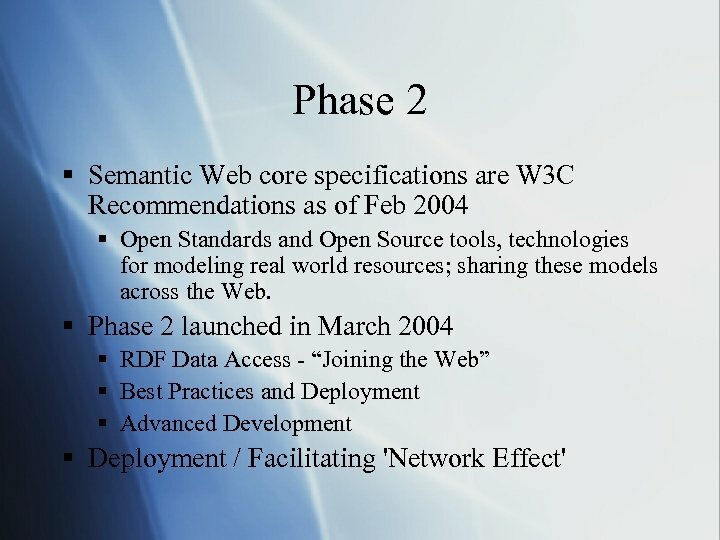 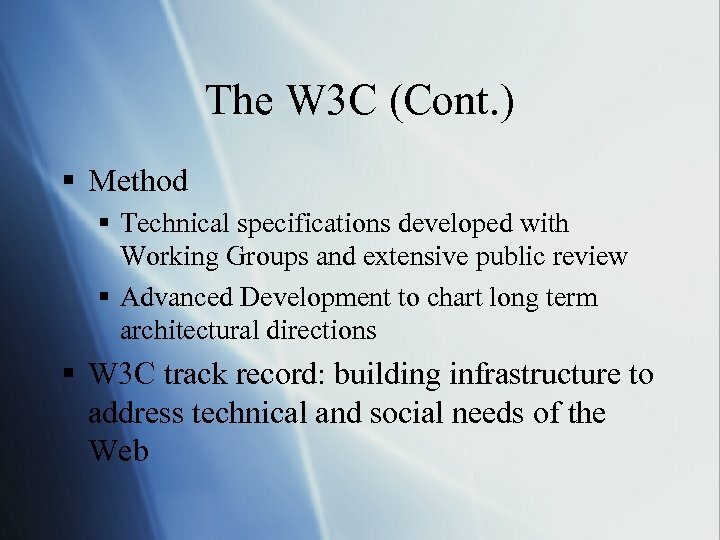 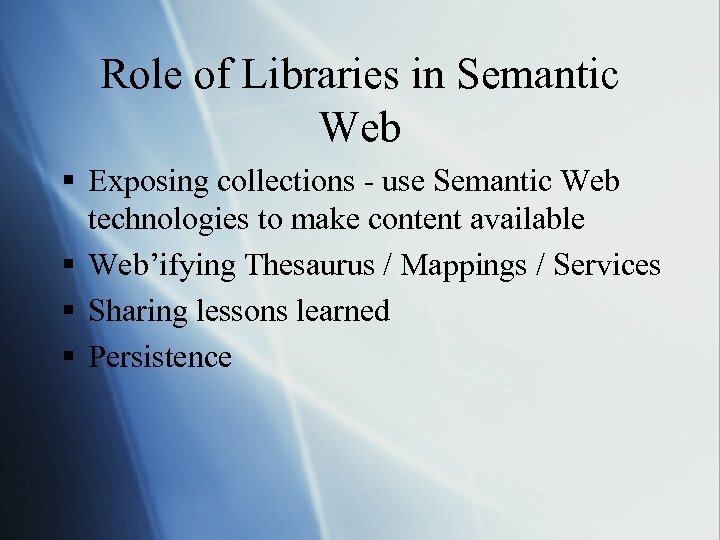 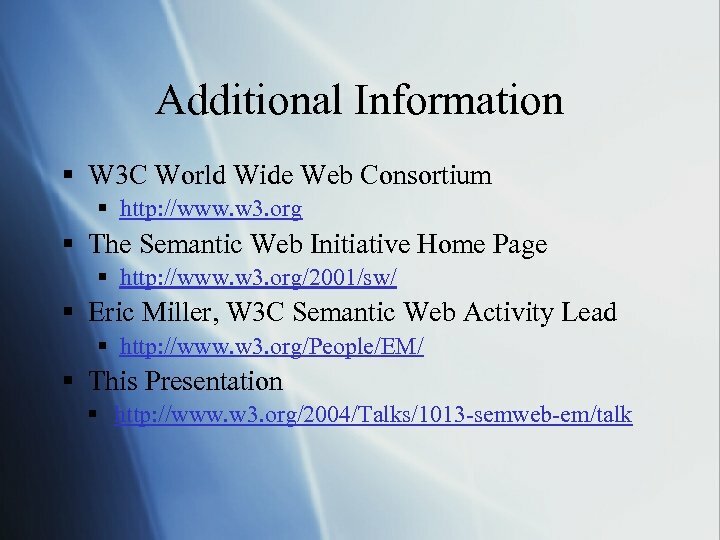 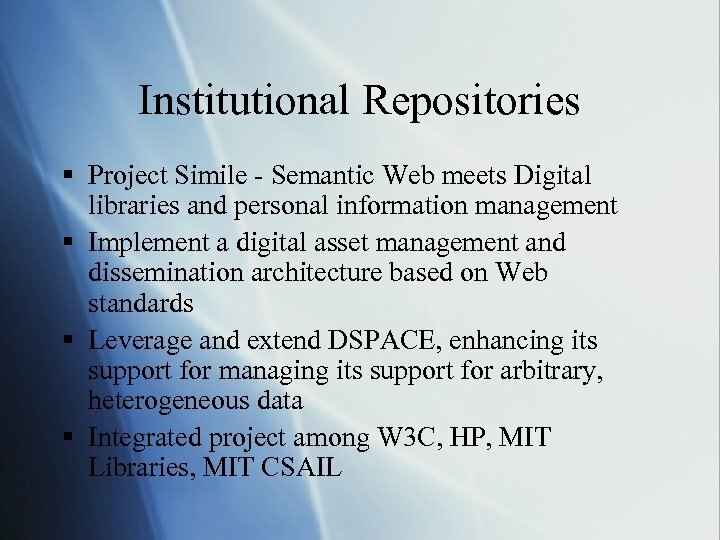 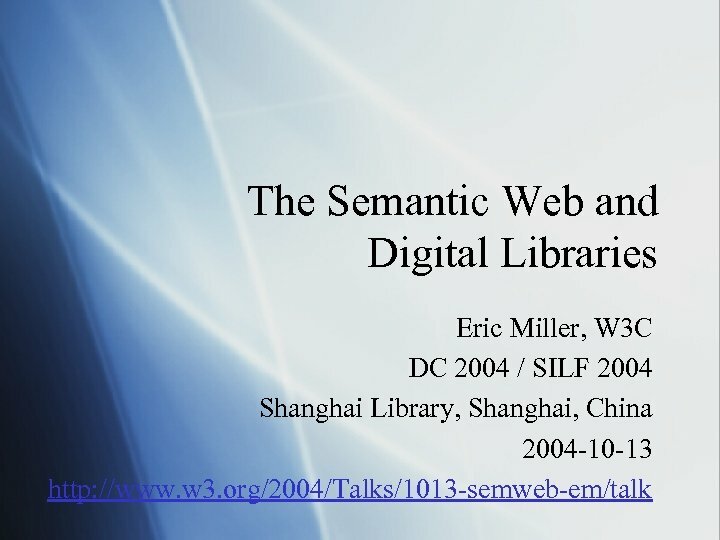 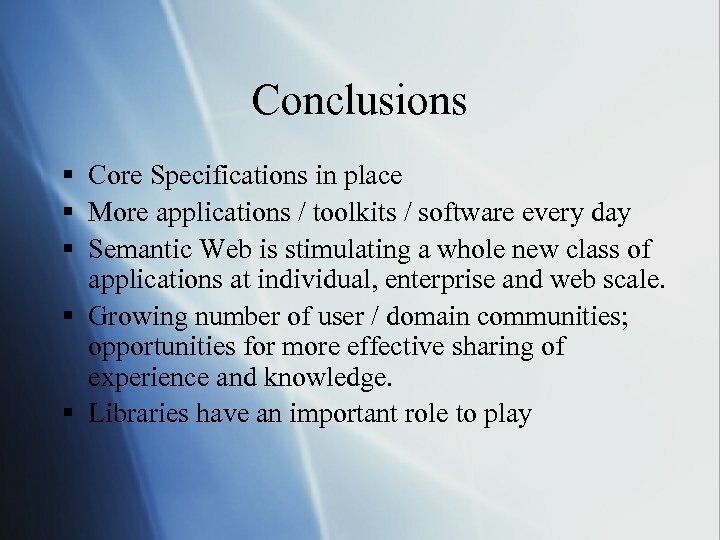 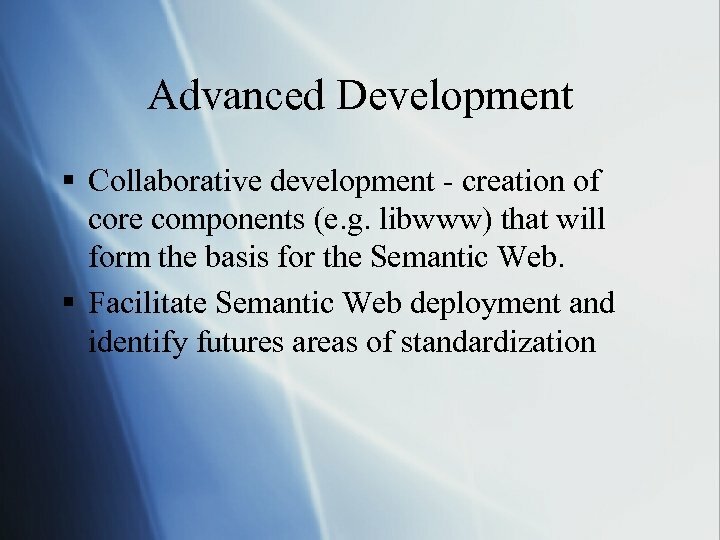 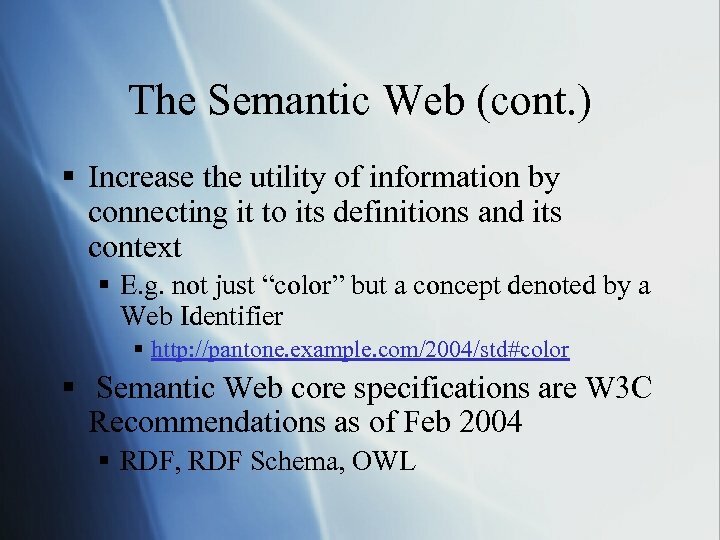 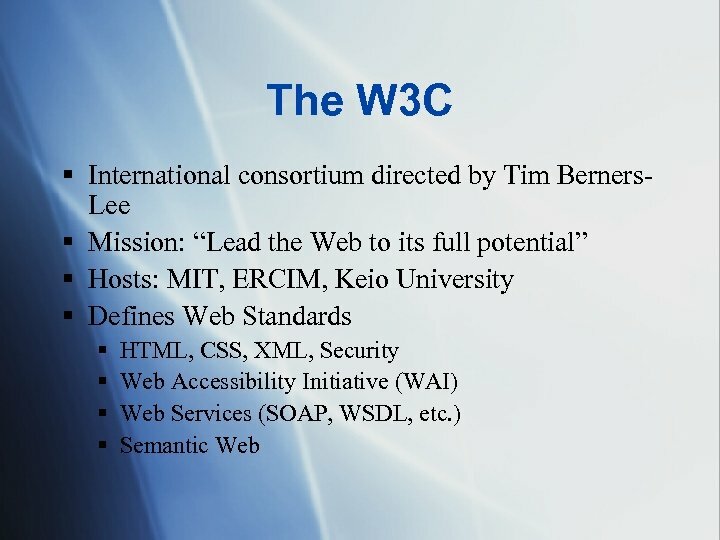 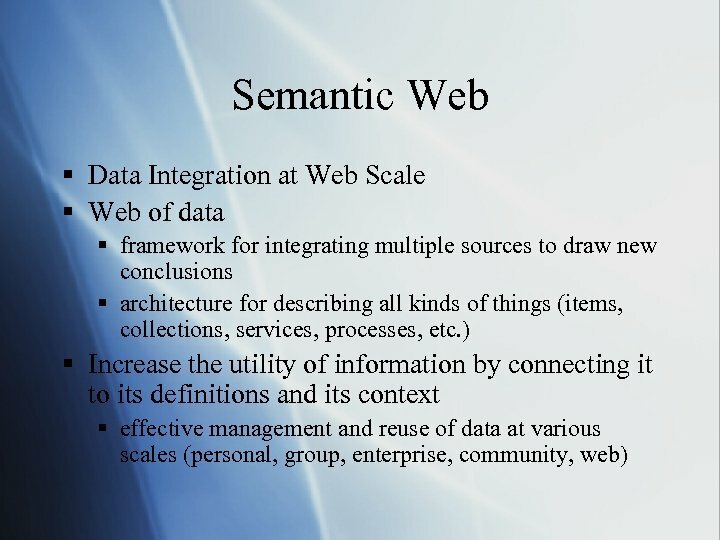 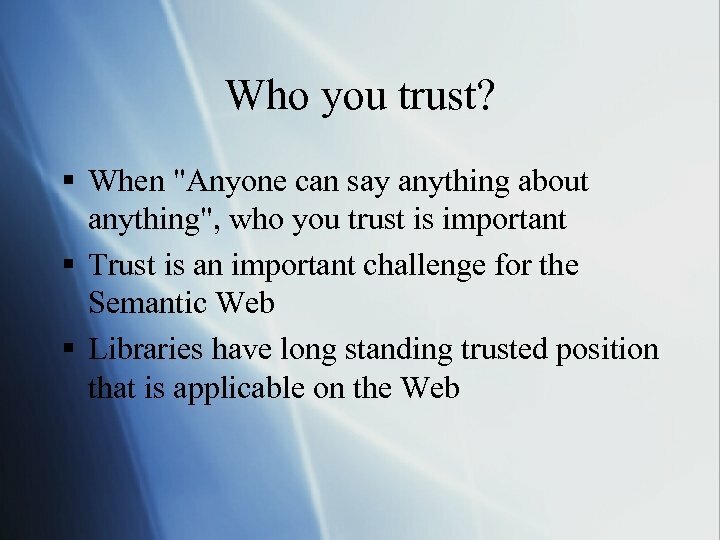 Best Practices and Deployment § Working Group - provide guidance for developers of Semantic Web applications. 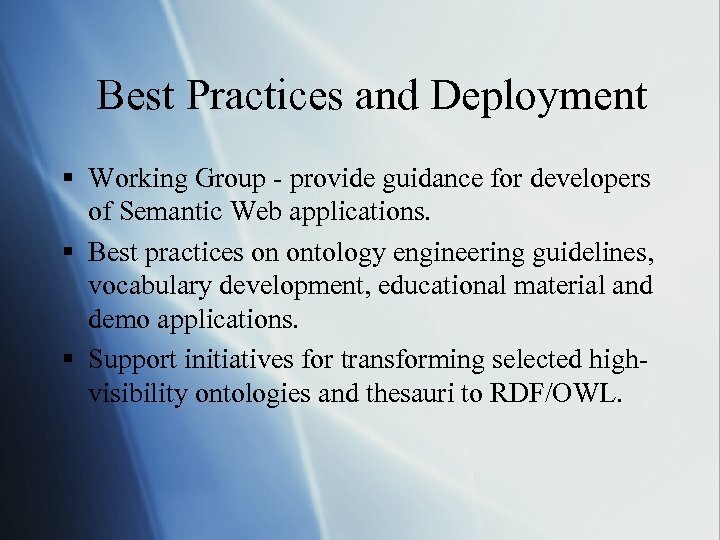 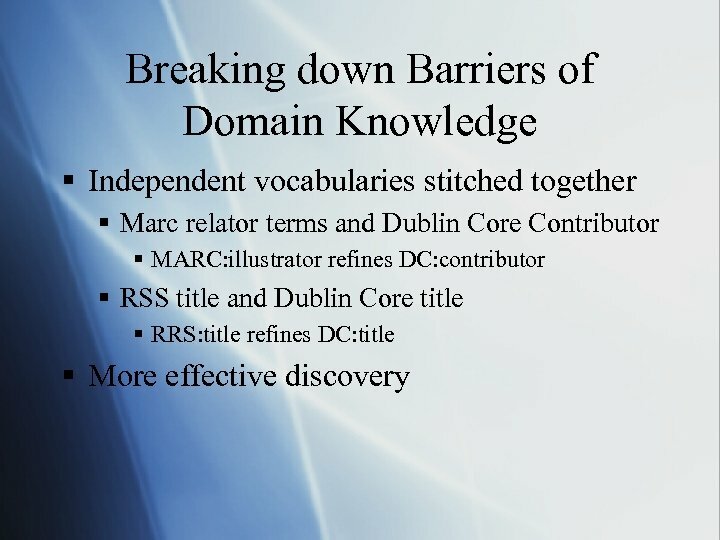 § Best practices on ontology engineering guidelines, vocabulary development, educational material and demo applications. 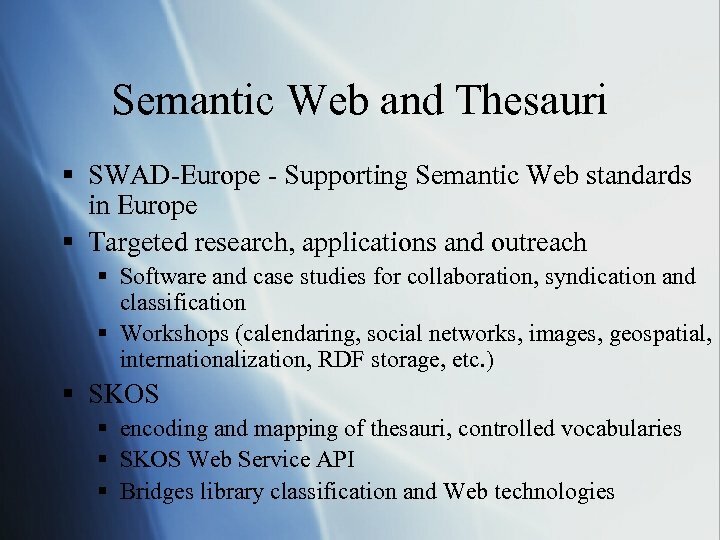 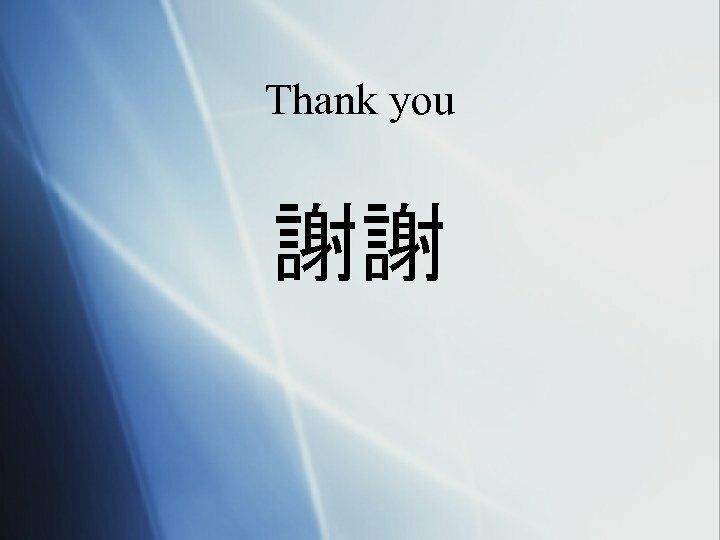 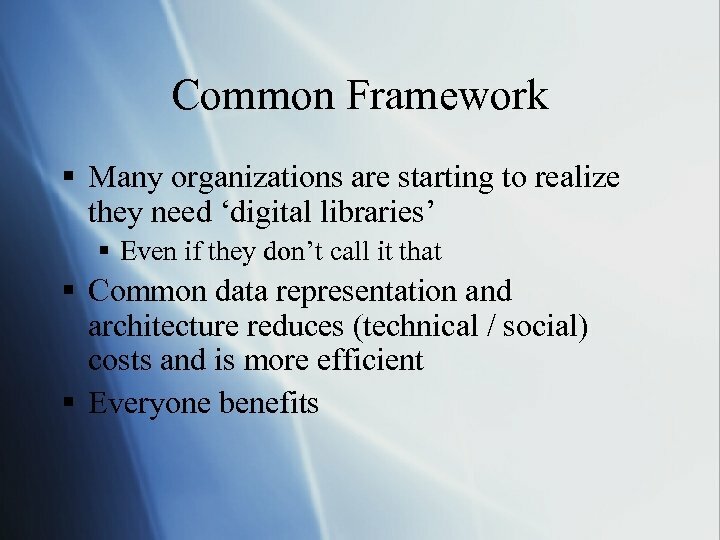 § Support initiatives for transforming selected highvisibility ontologies and thesauri to RDF/OWL.